It has been obvious to even the casual observer that the weather has been strange lately. Greenland is a vast store of ice. 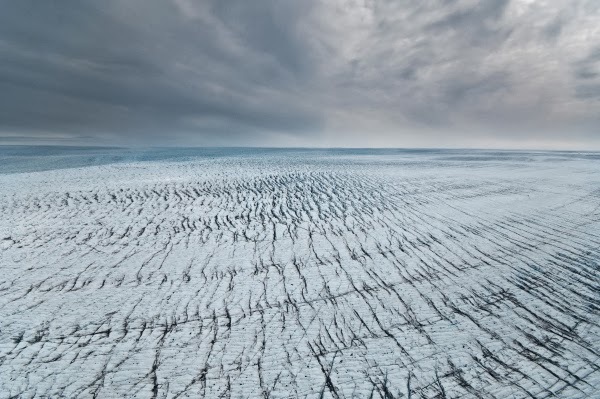 Nearly two miles thick at its center, it contains enough ice to raise the world’s sea levels by 23 feet. 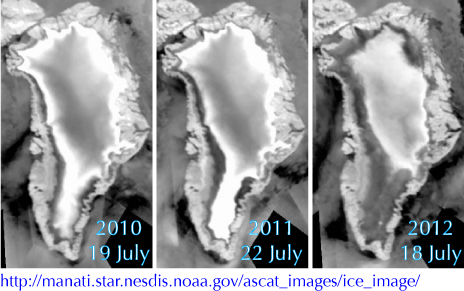 Satellite observations from July 25 2013 have revealed a dramatic and unprecedented level of ice melt in Greenland. 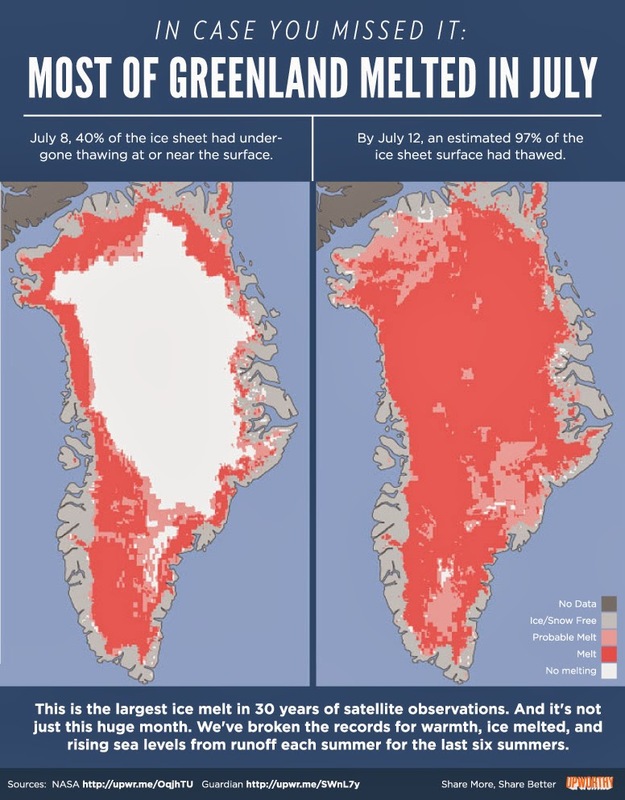 Scientists say an estimated 97 percent of Greenland's ice sheet surface, from its thin, low-lying coastal edges to its center, thawed at some point in mid-July. 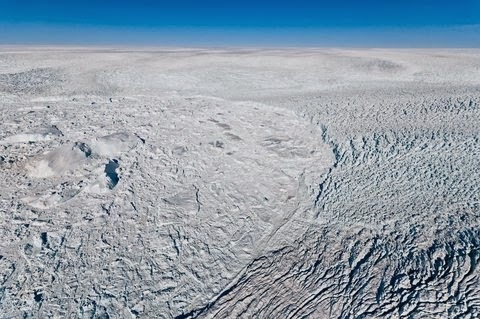 The Greenland Ice Sheet is Starting to melt. 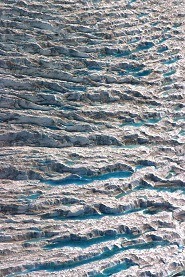 Reports coming in over the past decade show that the vast two mile high Greenland ice sheet is starting to melt. 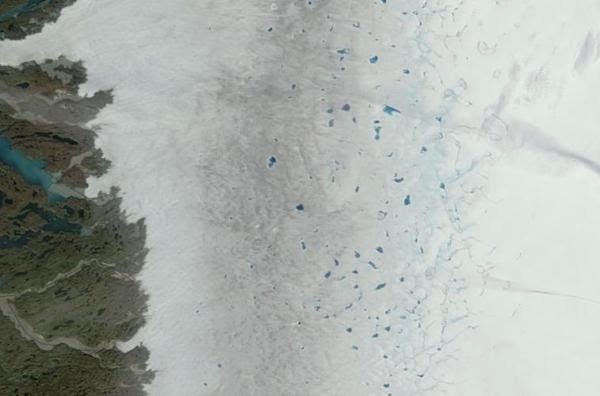 Thousands of melt ponds appearing on Greenland's ice sheet. One melt pond the size of a lake, draining off to the ocean. There are thousands of these. 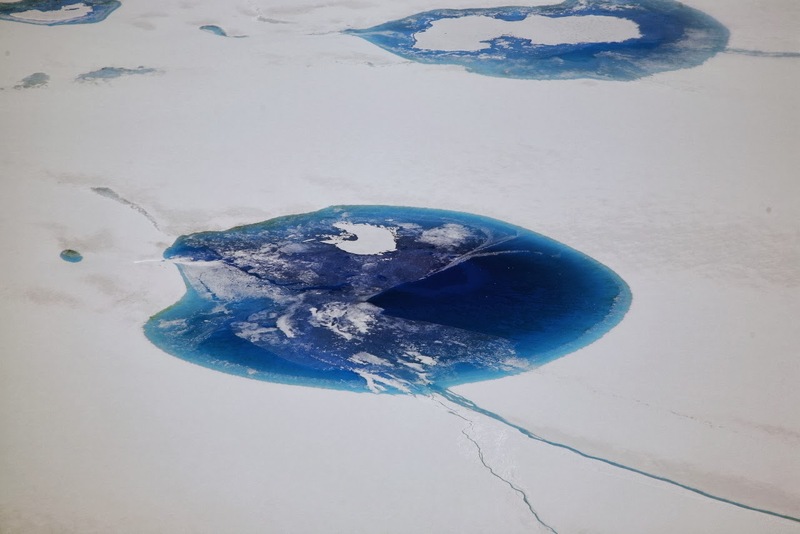 Unfortunately, we may be too late to avoid a catastrophic global sea level rise. 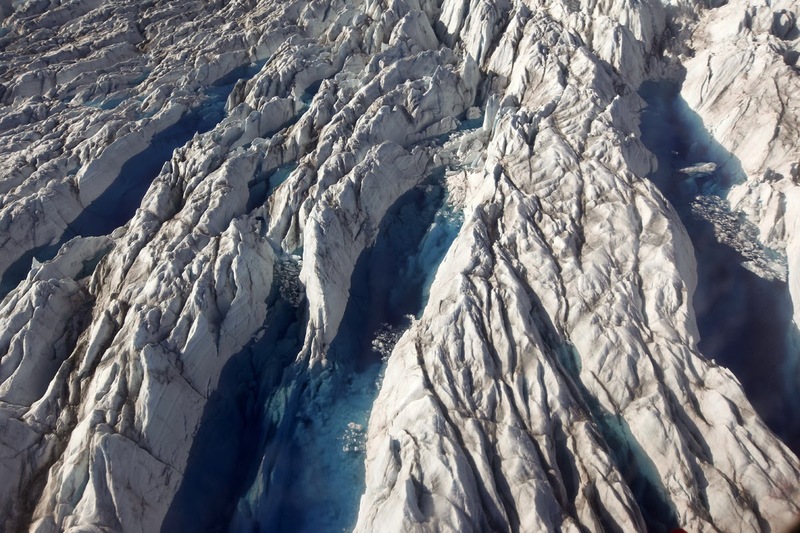 Under the current climate change effect, the Greenland ice sheet is sagging and deforming, filling with melt ponds and flows that flush through to its base, and slipping toward the ocean at an ever increasing pace. 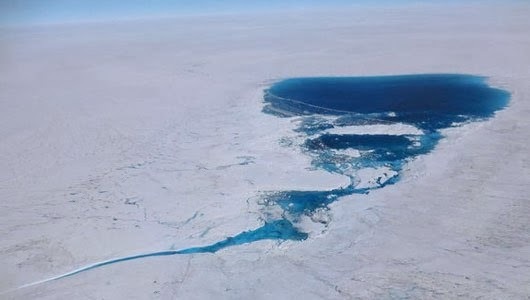 Research conducted by Arctic scientists shows that the ice sheet’s speed is increasing by a rate of about 2-3 percent per year. This speed of increase results in the disgorging of vast volumes of icebergs and melt waters into the North Atlantic. 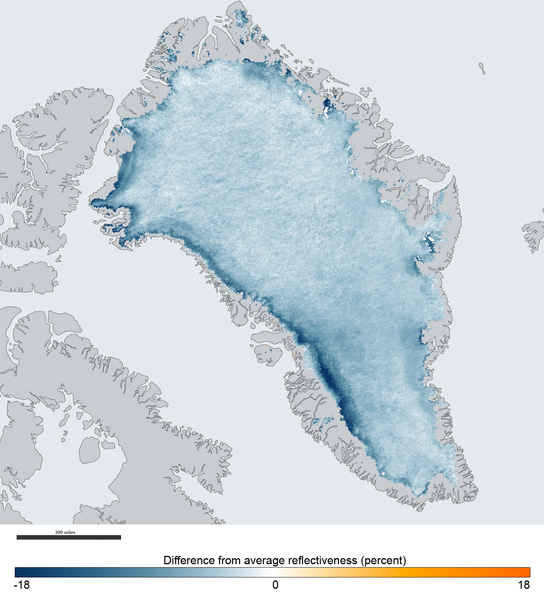 An average of about 500 cubic kilometers of icebergs and melt waters are now flowing into the ocean from Greenland alone. But with the pace of ice sheet melt and movement picking up, we are at the beginning of a very risky situation. The melt forces eventually reach a tipping point. 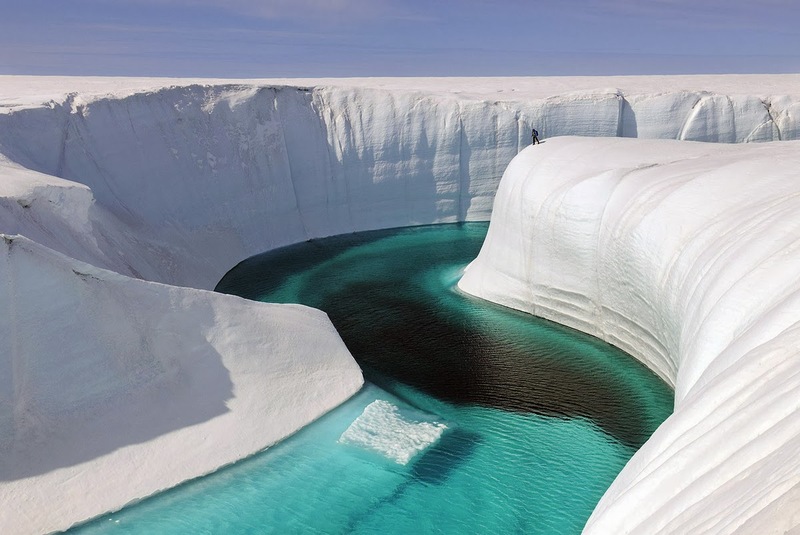 The warmer water greatly softens the ice sheet. Floods of water flow out beneath the ice. Ice ponds grow into great lakes that may spill out both over top of the ice and underneath it. Large ice dams start to form. All this time ice motion and melt is accelerating. We will reach a tipping point and a surge of water and ice will enters the Atlantic ocean. 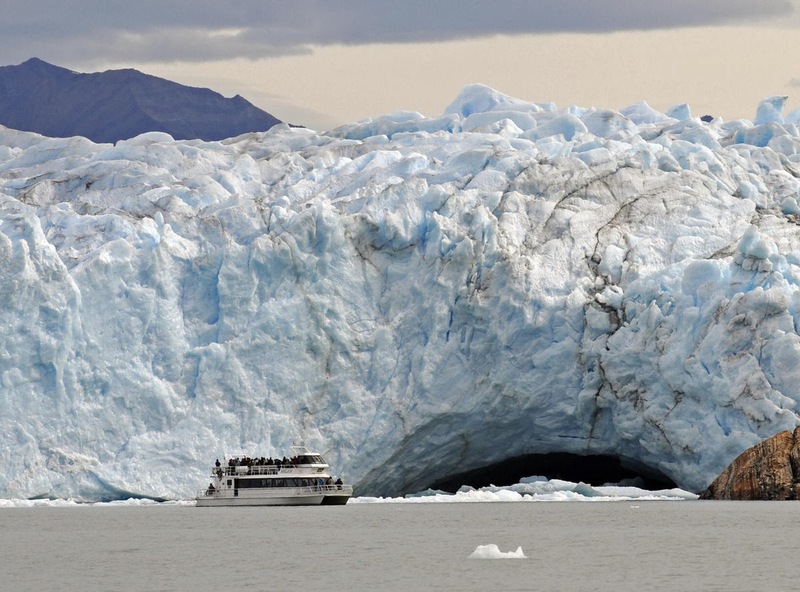 Tsunamis of melt water bearing vast icebergs will contribute to sea level rise. And then the weather starts to get really nasty. In the case of Greenland, the firing line for such events is the entire North Atlantic and, ultimately the Northern Hemisphere. The human greenhouse gas effect is powerful. At the last ice age’s end, about 100 parts per million of additional CO2 was enough to end the last Ice Age. Today, CO2 has risen by 120 ppm and continues to rise by 2-3 parts per million each year even as other rising greenhouse gasses, primarily methane, add to this global warming. Because CO2 can remain in the atmosphere for a century or longer, its increasing concentration warms our climate over long periods of time. Through its absorption and emission of energy back onto Earth’s surface, increased atmospheric CO2 traps more heat in the climate system. 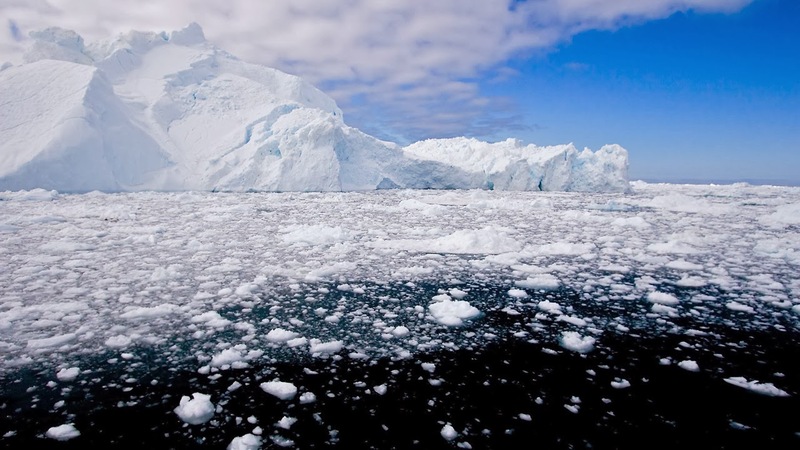 Its warming effect, however, is amplified by positive feedback such as increased water vapor, reduced reflectivity of the ice, changes in cloud characteristics, and CO2 exchanges with the ocean and terrestrial ecosystems. The current pace and path of increased effect makes a bad situation worse as a CO2 rise to at least 480 ppm is predicted by mid-century. 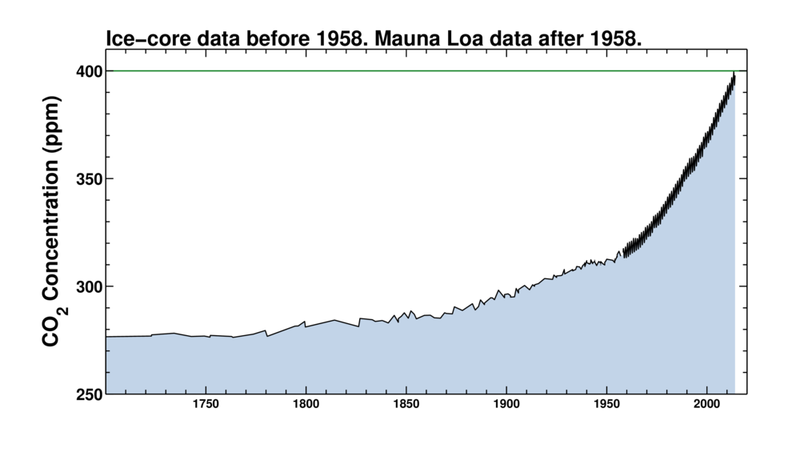 End of the century estimates come in at the catastrophic level of 800 ppm of CO2 and related greenhouse gasses. 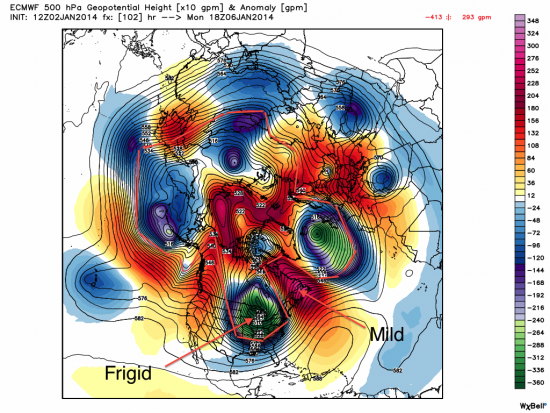 Jennifer Francis: "Understanding the Jetstream". Enormous chunks of ice melting into the sea. Heavy rain brings widespread flooding to England. Hell has moved to Australia..